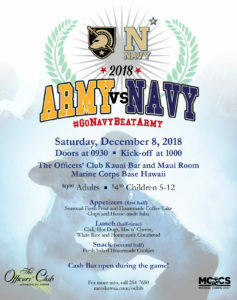 Watch the Army-Navy game at The Officers’ Club Kauai Bar and Maui Room. Doors open at 0930. Kick-off at 1000. 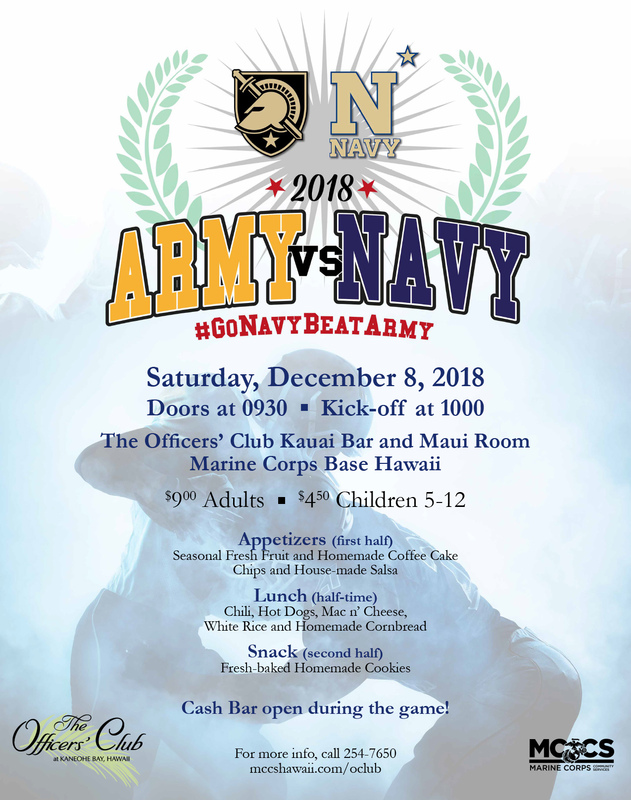 Enjoy appetizers, half-time lunch and snacks while you cheer on Navy – Adults $9. Children 5-12 yrs $4.50. Cash bar open during the game!